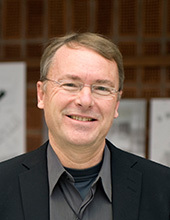 Sten Gromark is a Dr Professor of Architecture, Architect SAR/MSA, at Chalmers School of Architecture, Göteborg, Sweden, within the theme of Modern & Residential Architecture, Division of Building Design. He has been active in research on architectural sociology in international cooperation concerned with residential issues but has also published reflections on the influence of philosophical concepts within contemporary European architecture based on humanistic and social science oriented interpretations. He is the vice director of the Formas supported Strong Research Environment ‘Architecture in Effect’ 2011-2016 hosted by KTH in Stockholm and was the co-coordinator of the NordForsk supported Nordic-Baltic researcher network Visurf 2008-2011. Since 2012 he co-coordinates the CIB Commission W069 on ‘Residential Studies’. He is currently the Director of the Research Environment AIDAH, ‘Architectural Inventions for Dwelling, Ageing and Healthcaring’ supported by Formas 2014-2018 and hosted by Chalmers Architecture. He is a Swedish MC of EU COST Action Intrepid and the co-editor and author of the 2016 published text collection on Ashgate/Routledge; Ways of Residing in Transformation - Interdisciplinary Perspectives. Architectures and Philosophies in Turmoil: Critical Situations of Architectural and Social Change. Paper presented to the Formas Architectural Inquiries Conference in Göteborg 2008-04-25'.Architectural Inquiries, Göteborg, Chalmers Arkitektur/Formas. Congress CATH 2004, Leeds, Bradford. HULTIN, O. kasper salinpriset / the kasper salprize 1998-2001. Stockholm, Sveriges Arkitekter /Swedish Association of Architects. Kraftspel i urban och samhällelig förändring - En utforskande arkitektur. Absolut Abstraktion - Om Eduardo Souto de Moura. A Crucial Moment of Transgression : Henri Lefebvre and the Radical Metamorphosis of Every Day Life in the City. Arkitektur speglar samhällets kulturella tillstånd. Beyond Modernism: The Prospects of Amodernism: New concepts, new ethics, new aesthetics in architecture and urban planning - on the threshold of a dis-continuity? International symposium in Aarhus School of Architecture, the City as Architecture, april 1994" in ALLEN, J., I. AMBROSE and BRINK. Making them meet - Policy, design, management, satisfaction, SBI/CIB, Hörsholm, Denmark & CIB-publication 176. BERNFELD, D. La Metropole dans son Hinterland: La Reconquete de la ville et de sa région. IIIème Colloque européen : EuroCultures Saint-Pétersbourg, Russie, 15-21 mai 1994. Bruxelles, ISA Saint-Luc. IIème Colloque EuroCulture & Conseil de l'Europe à Coimbra, Portugal, november 1993, Ecole d'Architecture St-Luc, Bruxelles. Paris bygger. Vägledare till ny fransk arkitektur. Fängslande Arkitektur. Om den disciplinära boplatsens födelse i franskt 1800-tal. Reflektioner kring arkitekturens betydelse och modernismens europeiska förhistoria. BRECH, J. and H. G. SCHWENZER. Wer senkt die Wohnkosten? Darmstadt, Verlag für Wissenschaftliche Publikationen. GALTUNG, J. and M. FRIBERG. Rörelserna. Stockholm, Akademilitteratur. Från Produktionens Rum till Rummets Produktion. There might be more projects where Sten Gromark participates, but you have to be logged in as a Chalmers employee to see them.